In a small trial, patients receiving 300 U and 500 U of intravesical abobotulinumtoxin A experienced reductions in nocturia episodes at 12 and 24 weeks. 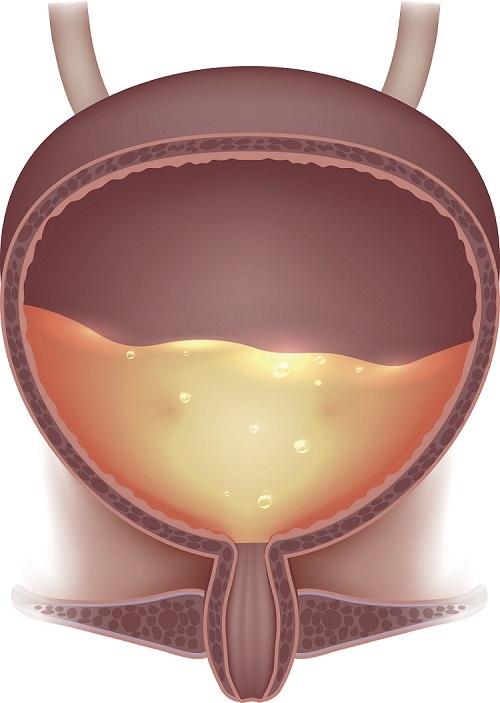 In women with overactive bladder (OAB) refractory to first- and second-line treatments, 500 U of intravesical treatment with abobotulinumtoxinA (ABO) improves symptoms and quality of life for a longer period than 300 U, according to new study findings published in Neurourology and Urodynamics. In a randomized trial, Danielle de Sá Dantas Bezerra, MD, of Santa Casa de Sao Paulo School of Medical Sciences in Brazil, and colleagues assigned 21 women to receive 300 or 500 U of ABO, injected into 30 sites in the detrusor muscle, excluding the trigone. Over 12 weeks, maximum cystometric capacity increased from 185.0 to 270.9 mL in the 300 U group and from 240.8 to 311.7 mL in the 500 U group. At 12 weeks, 91% had no incontinence, but by 24 weeks 50% of the 300 U group experienced a return of incontinence episodes. Nocturia episodes declined from a mean 5.1 in the 300 U group and 3.6 in the 500 U group at baseline to 2.2 and 1.6, respectively, at 24 weeks. On the patient global impression of improvement (PGI-I) questionnaire, 70% of patients in the 300 U group and 88.9% in the 500 U group reported feeling “better” or “much better” at 12 weeks. At 24 weeks, the percentages were 50% and 100%, respectively. With respect to treatment safety, mean post-void residual urine peaked at 4 weeks: 71.7 mL (300 U) vs 96.5 mL (500 U). Urinary tract infections occurred in 35.7% of patients, and 1 patient in the 500 U group required an indwelling catheter for 2 weeks. The investigators cautioned that onabotulinumtoxinA, licensed in the US, is not equivalent to ABO. “For this reason, clinical trials are needed to establish the appropriate dose for each formulation,” Dr Bezerra and the team stated. Overactive Bladder Treatment: Which Is the Most Cost-Effective Option?